TBT, be damned. I was looking through some old designs on my hard drive and felt nostalgic. 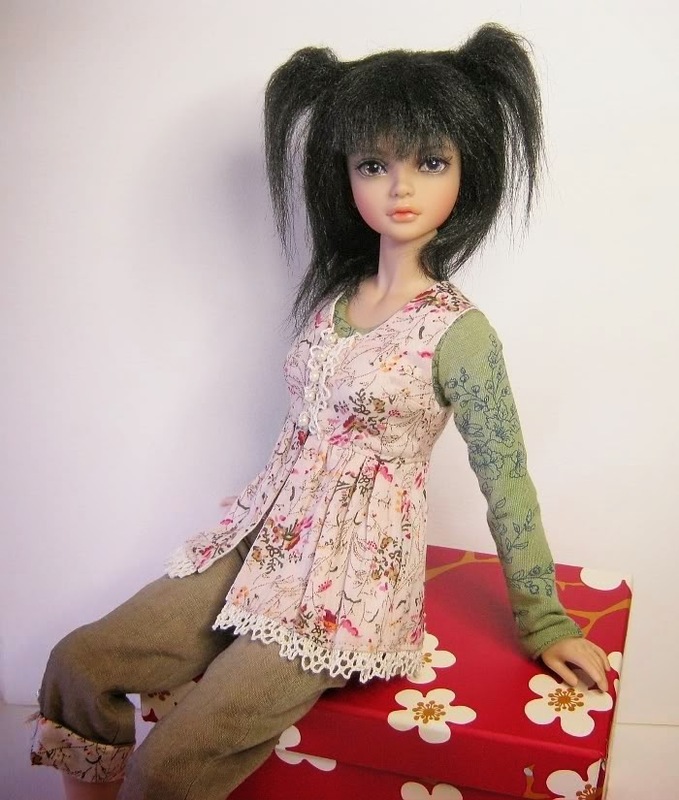 One of the items that caught my attention is this outfit I made for my Iplehouse JID girl Rachel. Leotard, pants and overdress.... all fully lined! The work it took, I can't begin to tell you. 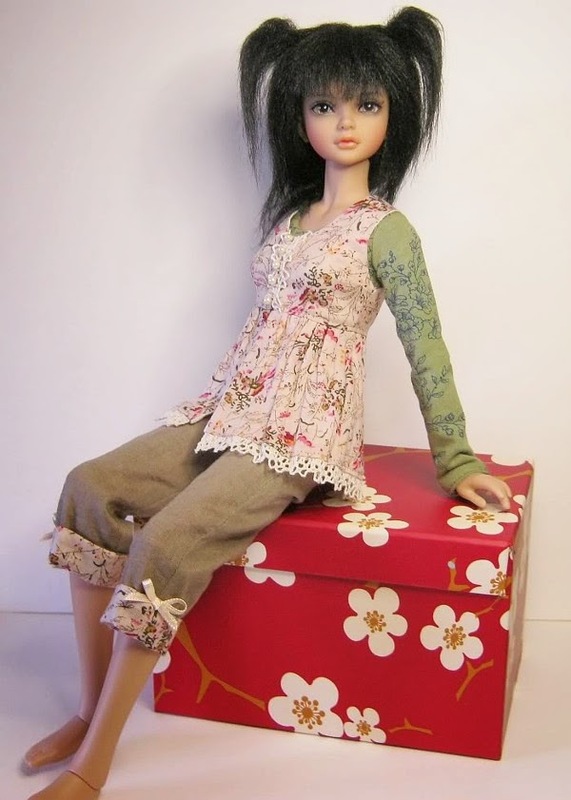 This outfit is in someone's private collection somewhere now, but I still love it, and it'll lend itself to Ellowyne and Patience beautifully. Probably even Blythe. 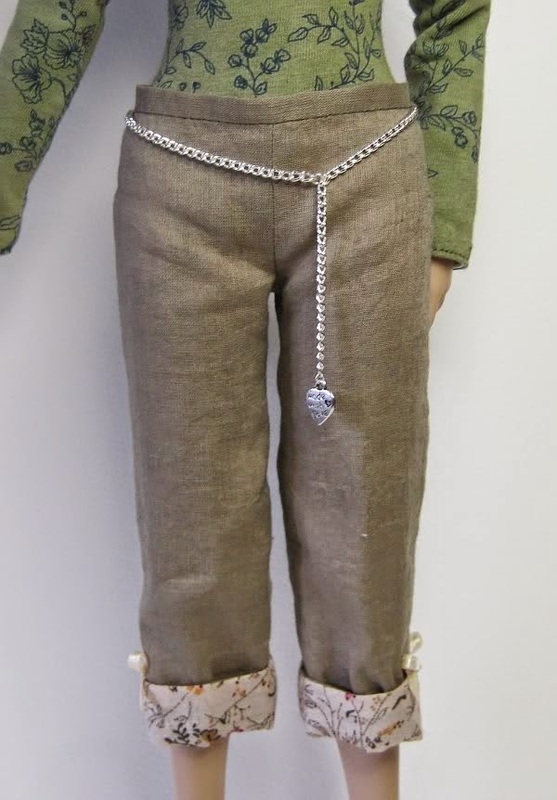 The olive green fabrics in the leotard and pants are some I hand-dyed, so they had to be lined with un-dyed light fabric to eliminate the risk of staining on the doll's body. This is why I tend to line everything I can. Lined pants are quite fun and interesting to make, but when it comes to a lined leotard - it's no mean feat! Love the whole look, the fabrics and even the pure cotton lace. It's not as if I'm short of ideas for forthcoming patterns already, and when I look back through my past work - I sort of realise that I'll never really run out of inspiration. The real problem is cramming it all in. I remember wishing that it was Ello sized when you made it! Lovely outfit and nice to see it again! I need to work out an Ell version - but it probably won't be quite as fully lined!